At most companies, CAE is performed as an isolated activity within a single functional team or engineering discipline. The performance, safety, and reliability of their products, however, is greatly influenced by the interactions between these disciplines. With 50+ year history stretching back to the early NASA moon landing project, MSC Software has been endeavoring to provide world class CAE co-simulation solutions to engineers worldwide. 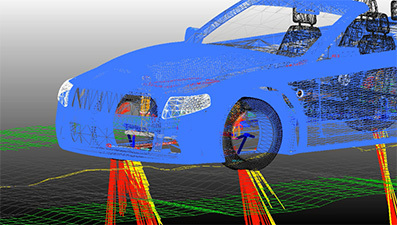 And here are a few reasons why CAE engineers benefit from our unique co-simulation technologies. 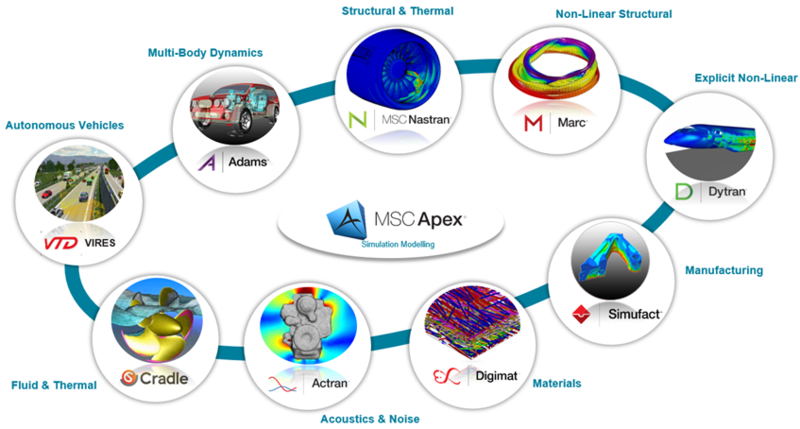 Co-simulation provides engineers with a unique, more complete & holistic performance insight by coupling together multiple simulation disciplines. Everything from acoustics to multibody dynamics (MBD), to CFD, to structural analysis, and explicit crash dynamics can be connected together in MSC (see Figure 1). The ability to quickly and easily look at alternatives with co-simulation at a time when we are not locked into any particular approach should make it possible to meet performance requirements with a lighter suspension that can improve the fuel economy of the vehicle." The Adams-Marc co-simulation capability more than satisfies our guideline of 'reasonable results in a reasonable time.' With up to a 90% reduction in computation time, optimization using advanced nonlinear FEA becomes practical. Such development provides a great benefit and is crucial for our product development and we are proud to work together with MSC in advancing the technology." 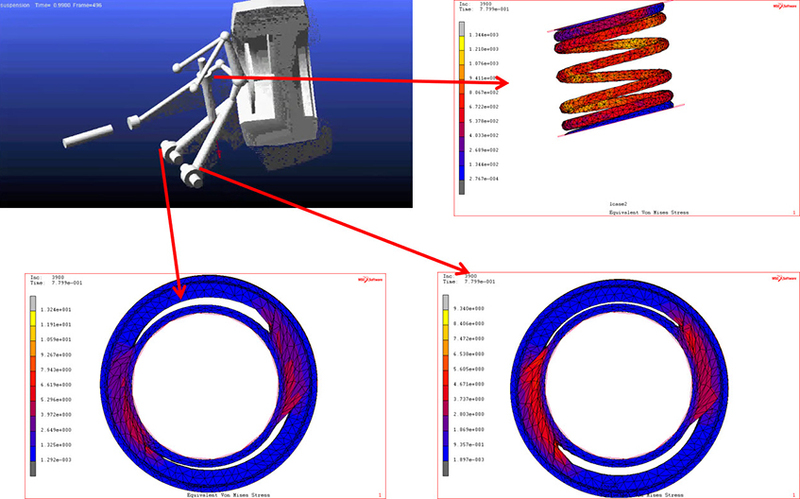 Depending on the type of analysis, engineers can use MSC solutions in two ways – Co-Simulation (applying multiple physics to the model simultaneously) or Chained Simulation (passing load case results from one analysis to the next). The MSC CoSim Engine has been developed in order to provide a co-simulation interface for the direct coupling of different solvers/disciplines with a multi-physics framework. 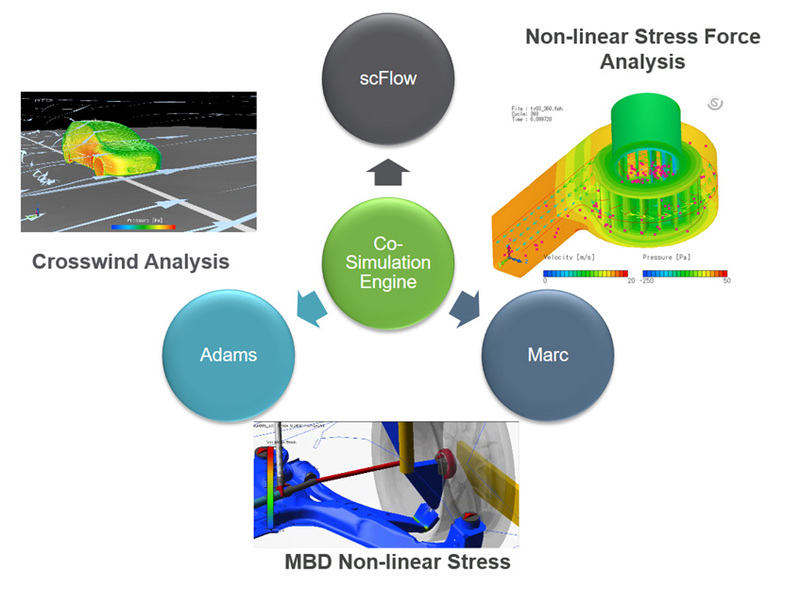 This first version, readily available today, enables engineers to set up co-simulation models between Adams, Marc and scFLOW. 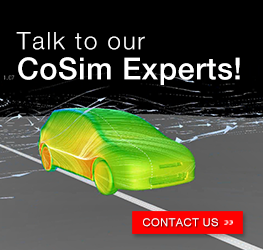 Besides the CoSim Engine, MSC also supports a list of other co-simulation methodologies, including the Functional Mock-up Interface (FMI), Adams Marc Co-Simulation Interface (ACSI) and so on. Chained simulation allows CAE engineers from different departments to integrate multiple disciplines sequentially and improve the overall simulation accuracy. For example, passing the road loads data from an Adams Full Vehicle model to the downstream MSC Nastran model for the stress & durability analyses. Predicting the interaction between the machine and granular materials is key to achieving an optimal design for construction, mining, agriculture, and off-road vehicles. The Adams-EDEM co-simulation solution enables engineers to include high fidelity bulk material loads and forces acting on equipment and increase the accuracy of their system level simulations."